In 2004, David, a 22-year-old working at a sporting goods store in the Chicago suburbs, was prescribed Vicodin for shoulder pain. By the time his doctor switched him to morphine and then OxyContin, he had developed a severe opiate addiction. When his prescription expired, his cravings continued. He bought more pills from a street dealer for $50 each. When he had depleted his savings, the dealer offered him a dose of heroin for $10, and David became hooked. He lost his job and spent several years in and out of treatment. In 2007, desperate for money to support his habit, he was arrested trying to steal a boat motor from his neighbor's garage. In jail, he suffered opiate withdrawal for days: curled up in the fetal position due to bone and muscle pain, shaking from fever and chills, soiling himself with diarrhea and vomit, and harassed by other inmates for the smell. After one week out of jail, he borrowed his grandmother's car to drive across town to his old heroin dealer. He injected the usual dose in his bedroom and stopped breathing. The next morning, his father found his body curled up on the floor. 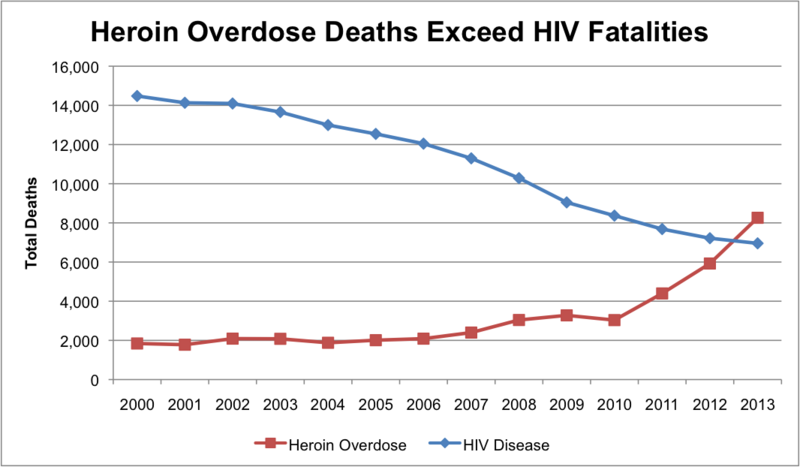 Figure 1: Heroin overdose deaths and HIV Fatalities, 2000 - 2013. 1. Most new users came to heroin as a result of addiction to prescription drugs. Heroin users aren't imitating their favorite rock musicians. Like David, an estimated 80% of new heroin users came to the drug after becoming addicted to prescription pain medication. Due to a new medical focus on treating pain in the 1990s as well as false advertising by pharmaceutical companies, opiate painkiller prescriptions exploded from 76 million in 1991 to 219 million in 2011, almost one for every American adult (see Figure 2). Around 2007, authorities began responding to growing addiction and overdose by cracking down on prescription excess and fraudulent "pill mills." Patients like David who found themselves addicted when their prescriptions ran out began buying their pills on the street. Many switched from $50 Oxycontin pills to $10 doses of heroin. 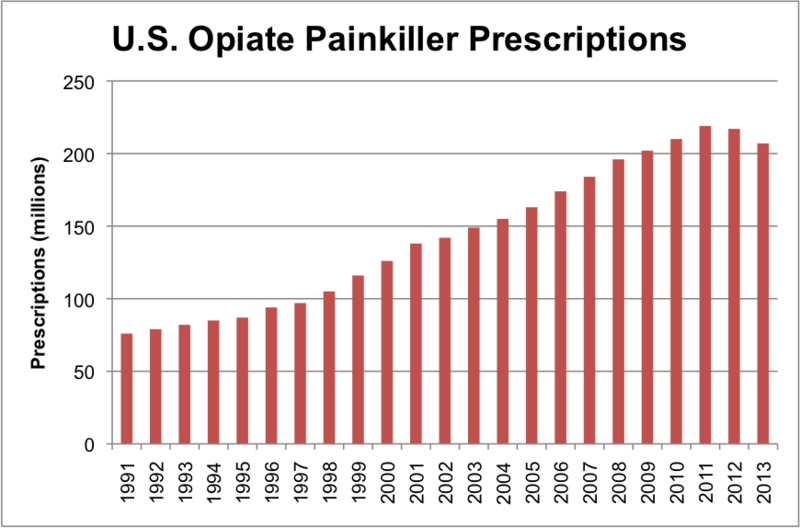 Figure 2: U.S. Opiate Painkiller Prescriptions, 1991-2013. It is essential that government agencies and medical professionals keep working to reduce our reliance on opiate painkillers. Yet as more opiate-addicted patients are cut off from their legal supply, many more will turn to heroin. It is time to address our society's heroin problem. 2. Quitting heroin is the easy part--the hard part is staying off. A serious heroin user who misses a dose or two suffers the painful withdrawal that David went through in jail. Worse than the physical symptoms are the debilitating depression and the knowledge that just one dose would make all the pain go away. In a few days, withdrawal ends but the cravings do not. Long-term heroin use causes users to hunger for heroin like the rest of us hunger for food. Most users today have been through treatment multiple times, and only five to fifteen percent stay off for good. It is not a question of low self-control, as Jason Cherkis shows with his profile of star high-school wrestler Patrick Cagey. When movie star Philip Seymour Hoffman relapsed after staying clean for 23 years, it surprised everyone except recovered heroin addicts, many of whom report that the cravings never end. People relapse after losing a job, ending a relationship, or the opposite--after a successful year they reward themselves with "just one fix." After jail, heroin users who fight off the intense cravings still suffer the collateral consequences of a criminal conviction. Few companies will hire someone with a criminal record, especially for heroin. Just when users need help rebuilding a stable life, their criminal records cripple their job applications and bar them from college loans, assistance programs and professional licenses. 3. The users trying to quit for good run the greatest risk of overdose. Regular heroin users know how much of the drug their bodies can take. They increase their habit slowly, building up a high opiate tolerance. But when they quit, their bodies rapidly lose this tolerance. If they stay clean for a few weeks and then inject their usual dose, the dose may be fatal. In the two weeks between David going to jail and borrowing his grandmother's car, his tolerance dropped enough that the usual dose killed him. Relapse use also killed actors Philip Seymour Hoffman and Cory Monteith (Finn Hudson in Glee). Others die from taking heroin with cocaine and alcohol, or from "bad batches" that the dealer mixed poorly or blended with toxic substances. Bad batches are par for the course, since the dealer's only qualification as a pharmacist is his willingness to risk his life and the lives of others. But the most common reason for overdose is relapse use. In fact, studies show that people who die of heroin overdose actually have on average lower levels of heroin in their bodies than living users. This means that it is the people trying hardest to quit who are at the greatest risk of dying. 4. We could stop people from dying of overdose, except we can't find them. Many are surprised to learn that heroin overdose deaths are entirely preventable. Naloxone (brand name Narcan), which is administered by injection or nasal spray, reverses overdose within seconds by dislodging the drug from the brain's opiate receptor sites. Naloxone is available in hospitals and carried by paramedics and some police officers. In a small number of cities, community-based overdose programs train users, family and friends to administer naloxone. If we can stop heroin overdoses, why do they still claim the lives of twenty Americans a day? Users inject alone and in hiding. Any heroin user who attempted to ensure his or her safety by injecting in a hospital or near a policeman would be arrested. Even when users overdose around others, fellow users often hesitate to call 911. In 29 states, if a user calls 911 to save a friend from overdose, police can arrest those at the scene for drug possession. Naloxone has great potential to save lives, but fear of arrest prevents it from realizing this potential. 5. We can remove the risk of death by creating Safe Injection Facilities. What can be done to prevent overdose deaths? In 92 locations across Europe, Canada, and Australia, drug users bring their own drugs into safe injection facilities (SIFs) and inject in the presence of medical staff. SIF staff provide sterile injection equipment, medical advice and treatment referrals and intervene in case of overdose. All 92 SIFs have demonstrated a track record of success--millions of injections and tens of thousands of overdoses have not killed a single person. The difference is stark. A year ago in Pittsburgh, a batch of heroin mixed with fentanyl killed 22 people. A similar batch caused 32 people to overdose nine months later in Vancouver. Thirty-one of them overdosed at Insite, the city's SIF, where the medical staff saved their lives. The 32nd, a woman in her 20s, was found dead in a downtown hostel. SIFs also save millions of dollars by reducing disease transmission. Since users can be arrested for possessing needles, many share syringes with other drug users, spreading blood-borne diseases. As a result, when compared to the general U.S. population, people who inject drugs are 35 times more likely to have Hepatitis C and 23 times more likely to be HIV positive. A single new infection carries lifetime costs of $65,000 for Hepatitis C and $380,000 for HIV/AIDS. Researchers estimate that over the past decade alone, the Vancouver SIF has saved $18 million and more than 1,000 years of life for the local population. SIFs have a number of other benefits. Medical staff spot skin infections early on and intervene before they develop into expensive, life-threatening conditions. Today in San Francisco, emergency room treatment of uninsured drug injectors' soft tissue infections costs local taxpayers $5 million every year. Studies show that SIFs also reduce syringe littering and the frequency of drug use in public places. Critics warn that SIFs will encourage more heroin use, but in fact they reduce use. How is this possible? Police harass users, doctors refuse to treat them and the average person reacts to them as if they are better off dead. This is counterproductive--we are not pushing them to quit, we are stripping them of the hope and support they need to stop erasing their pain with heroin. When a New York State Department of Health/AIDS Institute survey asked heroin users if they would take advantage of a SIF, most users were surprised that anyone would actually be willing to invest in saving their lives. SIF medical staff build relationships with depressed, outcast users and help them turn their lives around. Accordingly, studies show that SIFs increase the percentage of users entering treatment. They also show that SIFs do not attract new users, which makes sense--who takes up an activity because a medical facility treats it as a disease? SIFs save taxpayer money by preventing death and disease. They don't enable drug use, they enable drug users to take responsibility for their own lives and to seek help for their substance use as a medical issue. Politicians need to hear this argument from their constituents before anything will change. 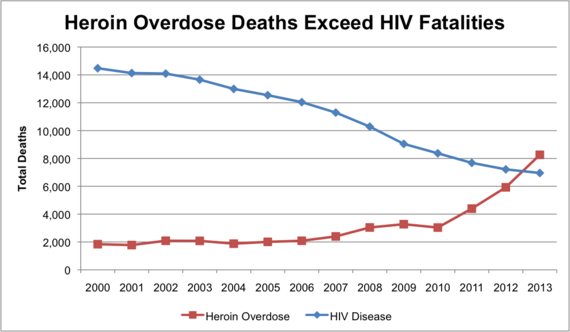 Until then, these overdose deaths are on us. If anyone you know has struggled with opiates, even years ago, get trained and equipped to administer naloxone yourself. Find an overdose prevention program near you. Invite Moms United to End the War on Drugs or Law Enforcement Against Prohibition (LEAP) to speak to your civic club, student organization or other group about heroin and safe injection facilities. Learn more about: how syringe exchange programs are reducing blood-borne disease transmission, how Naloxone Access and Good Samaritan Laws are saving the lives of those who overdose, and how the national Ban the Box campaign and Seattle's Law Enforcement Assisted Diversion (LEAD) program help drug users stay out of jail and move on with their lives. See if your state allows syringe exchange, public naloxone distribution and Good Samaritan 911 calls. Write to your city council and state legislature in support of SIFs and other measures your city and state are lacking. If you live near or know anyone in a city with a severe heroin problem, especially San Francisco, New York City, and Seattle, contact me to learn how you can help that city's SIF campaign. Tell your friends that heroin overdose deaths can be prevented with safe injection facilities. Start conversations about why it makes sense to provide a safe place to inject heroin.